Corporate Keys is a large, privately owned provider of corporate serviced apartments, apartment style accommodation and related services such as hotel bookings, car rental and travel insurance. 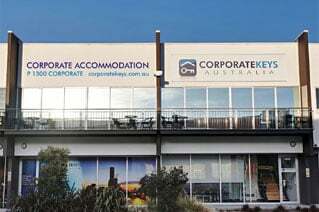 Corporate Keys' primary focus is the provision of corporate accommodation and associated services for business people, project teams and relocating employees. The organization has established a reputation for being a market leader in providing cost-effective, convenient and easy-to-use accommodation and travel solutions to the corporate and government sectors. Corporate Keys is structured to maintain high levels of customer service, quality, good corporate governance and market growth. Our employees serve in a variety of disciplines designed to support and advance our business, including Major Projects, Business Development, Operations, Reservations, Guest Services, Corporate Leasing and Finance. Corporate Keys is an active member of the Corporate Housing Providers Association (CHPA) and has adopted the association’s Code of Ethics. Corporate Keys is a corporate member of the Australian Institute of Management (AIM) and has adopted the Institute’s Code of Conduct for management practice. Corporate Keys actively supports our local community. Our firm regularly donates money and surplus stock to local and international charities. Our employees maintain active involvement in local charitable activities. Head Office is located in Melbourne, Australia. Consider listing existing or planned residential apartment buildings with Corporate Keys as your leasing partner.